Craft Beer, Microbreweries and Taprooms: The Rise of the Label in Beer Packaging — Derksen Co. The growth of craft breweries and microbreweries is doing more than increasing customers options at the liquor, grocery, or convenience store. It is accelerating an industry trend of customized packaging as brands are trying to stand out in an increasingly crowded market. Label design is a critical component of this initiative. Historically, pre-printed materials created issues for smaller breweries owing to the fact that these types of packaging options needed to be ordered at a significant minimum count. This posed a number of problems to brewers including space requirements, cost, and most importantly, the risk of the graphics on the pre-printed materials becoming outdated. As a result of the difficulties of using pre-printed products, the beer industry, and especially the microbrewery and craft brewery industries are shifting towards new packaging solutions, where labels and shrink wrap packaging dominate. With labels, breweries can rapidly adapt their packaging to meet industry demands. Also ideal for startups, label design can be changed frequently, increasing flexibility and helping to establish a brand identity that fits. The variety of printing techniques, materials, and ink types allow for a wider range of customization than screen-printed packaging. Bold colors, unique materials, and artistic touches such as incorporating foil or raised lettering, can help brands stand out on shelves and create a unique identity that consumers will remember. Whether brewers sell in store or directly from their brewery, design matters. Consumers spend mere seconds scanning shelves deciding what to buy. Making the most of this window is essential, especially to smaller brewers that don’t take up as much shelf space and can’t purchase prime real estate on shelves in grocery stores. Shrink sleeve packaging is equally cost effective and allows for a variety of customization options and opportunities for creative branding design. A 360-degree shrink sleeve label is visually striking and can provide optimal product coverage. Pre-printed cans areAlongside labels, shrink wrap sleeves offer customization options and opportunities for creative branding design. With shrink sleeves, breweries combine the seamless look of direct can or bottle printing with the benefits digital printing techniques offer. The result yields bold colors, crisp artwork, and the flexibility to upgrade and change packaging when needed. Aside from beer bottle and beer can design, labeling has greater potential for applications across the range of products that are sold at craft breweries, microbreweries, and even tap rooms. Many brewers offer specialty brews and tap purchase options for customers on site. Beer is packaged in large glass jugs, called “growlers,” or tall cans, called “crowlers”. Customers then take their favorite brew home straight from the tap. 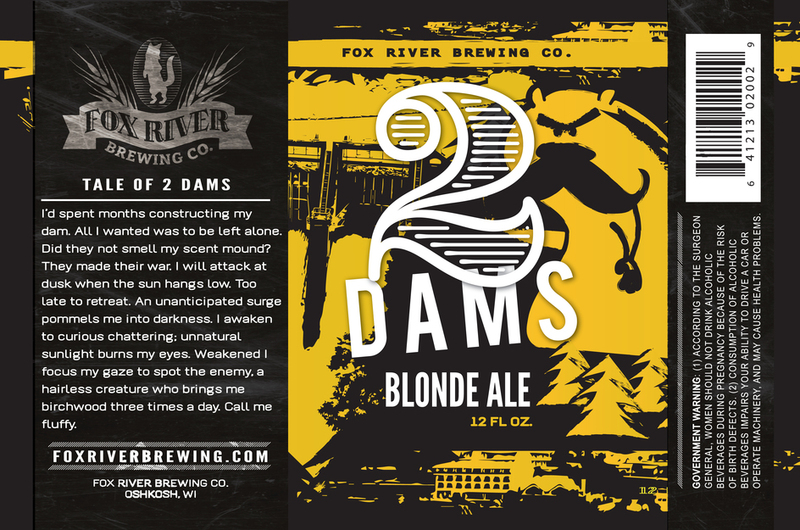 Customized labels make it easy for brewers to distinguish the beer type and communicate important consumer information while extending their brand. The crowler labels used at Lion’s Tail Brewing Company and Ruby Owl Tap Room are printed with a matte UV varnish on a white film. Designed to withstand condensation and retain color vibrancy, these labels present a unique branding solution for breweries and taprooms that want to offer take-away products. "Derksen Co. provided concise, professional service in laying out our options, while accommodating a tight time frame for production. 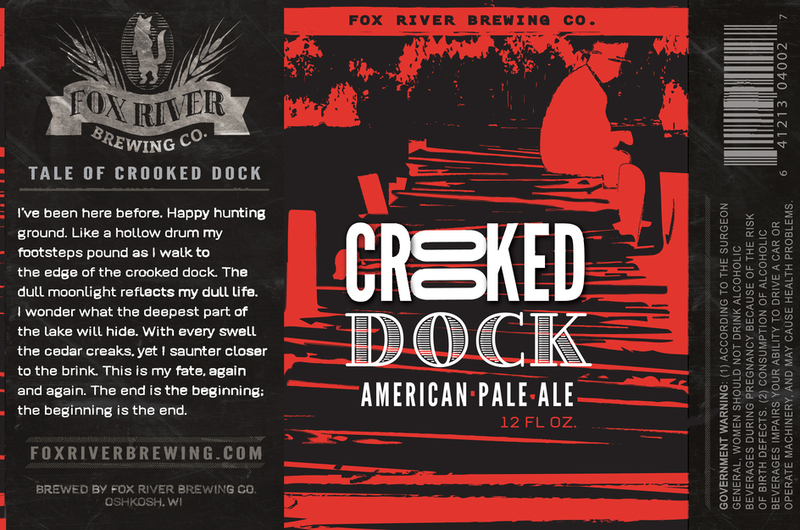 We are thrilled with our finished crowler labels. They have become a key marketing component for our brand." Water resistant films are an excellent alternative for labels in a damp environment. A white film increases the vibrancy of colors and produces high-intensity label designs. Different varnish options, such as matt and gloss, add another layer of brand differentiation. As well as enhancing the look of the label, different types of varnish will also change the way the product feels in the hand of the consumer. Derksen Co. is a full-service commercial printing company, which specializes in custom label creation and packaging design. For further information about labels, shrink wrap options and possibilities, contact the Derksen team at 920-685-4000. You can also email with your inquiries at team@derksenco.com.